The issue was tabled for discussion during Gelegphu Thromde Tshogdue, held last week. The municipality fears the river could wash away the treatment plant, if NRDCL continues the extraction. “For time being, we would like to fence the area and ban the extraction of sand and boulders,” said the municipality’s Executive Secretary, Pema. Gelegphu Range Officer, Singye Wangchuk said there isn’t any issue in relocating the extraction as his office is responsible for approving the extraction site at Mao River. However, he said extraction of sand and boulders did not cause the recent flooding of the treatment plant. 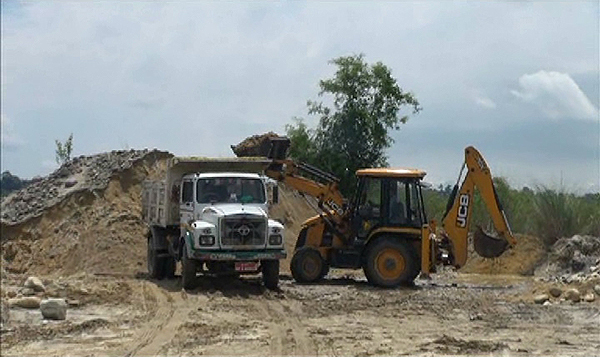 Gelegphu faced acute shortage of water for several days after the monsoon caused flooding in the area. The flood submerged the treatment plant, which caters water to 80 percent of the residents. “NRDCL’s collection starts after water treatment plant,” Singye Wangchuk said. However, if the municipality wants, Singye Wangchuk said they can still relocate the extraction area.